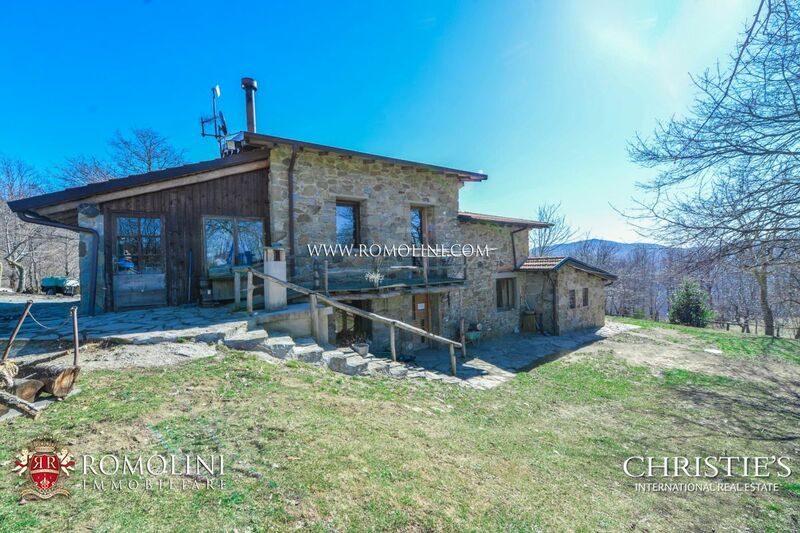 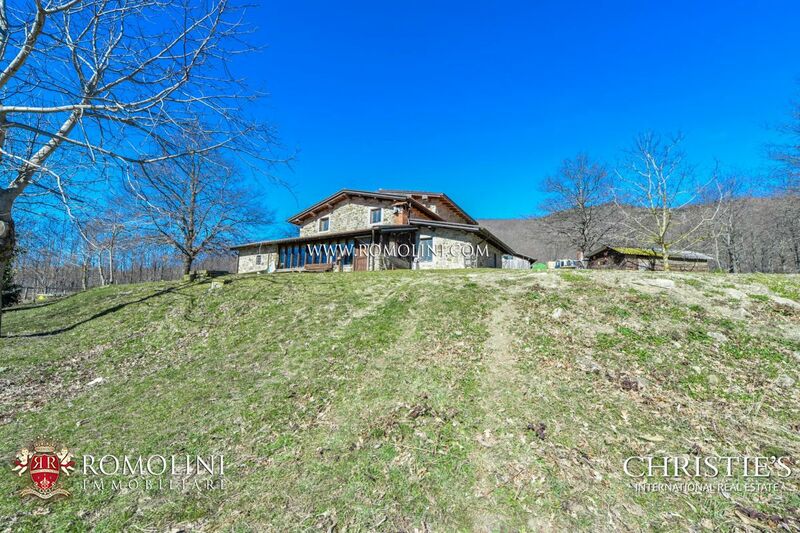 On the mountains of the Tuscan Apennines, at the border of Casentino, renovated private mountain shelter with 23 hectares of land. 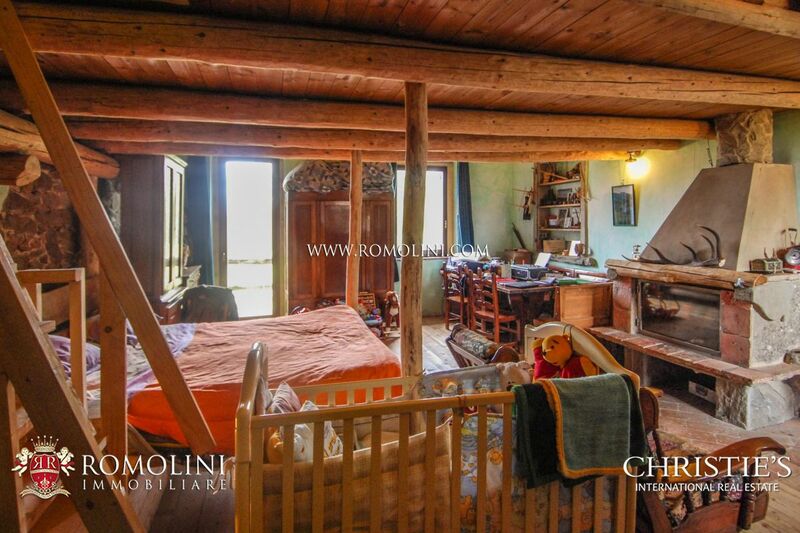 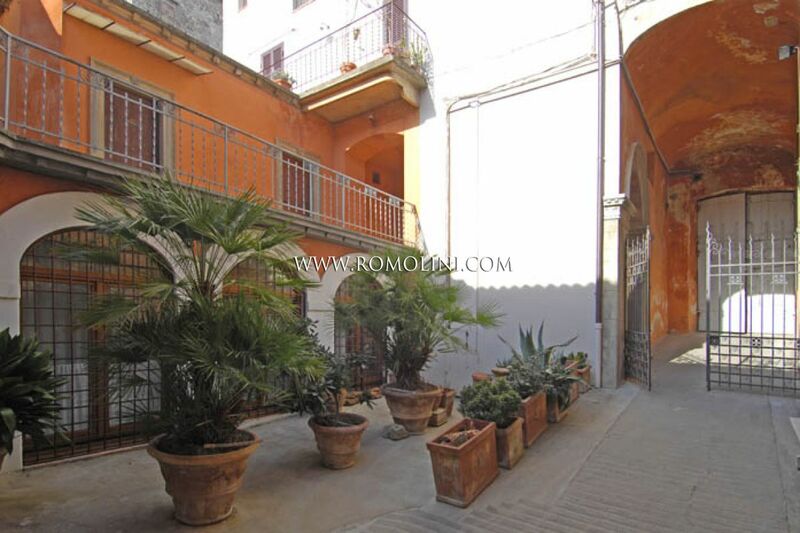 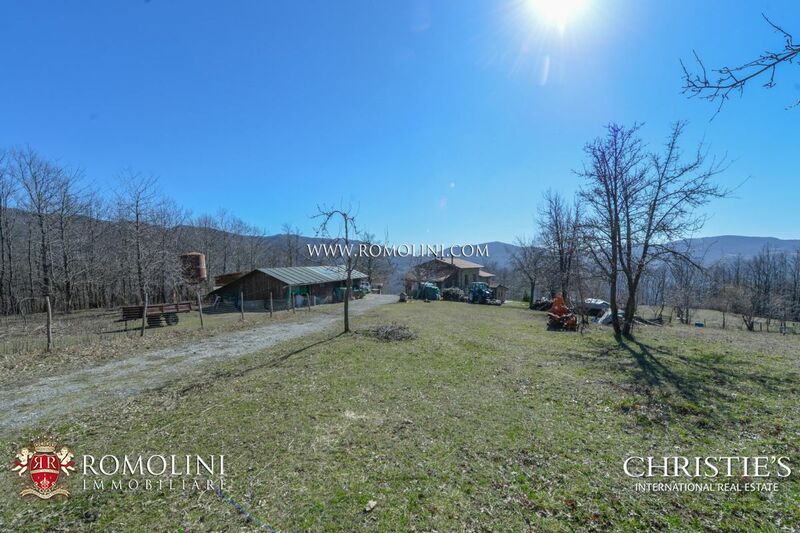 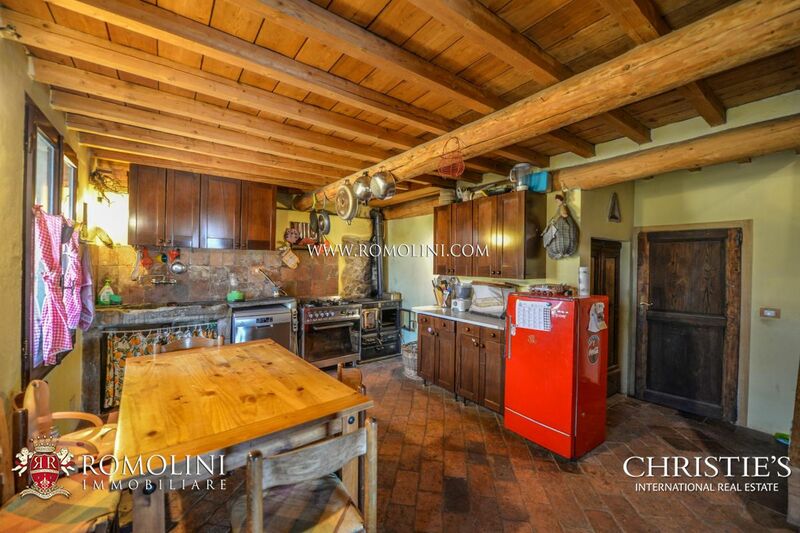 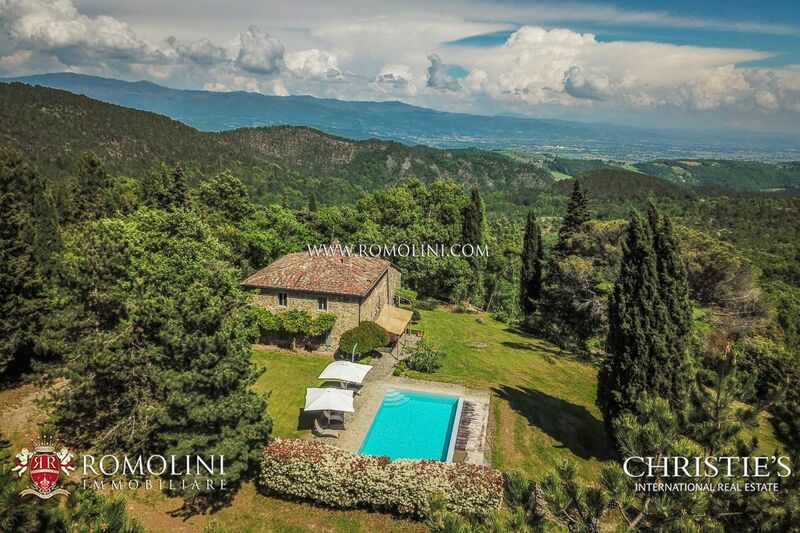 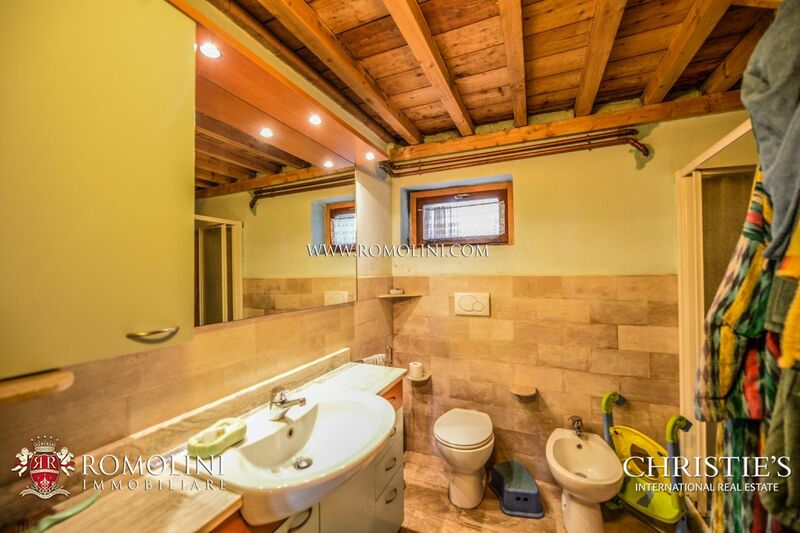 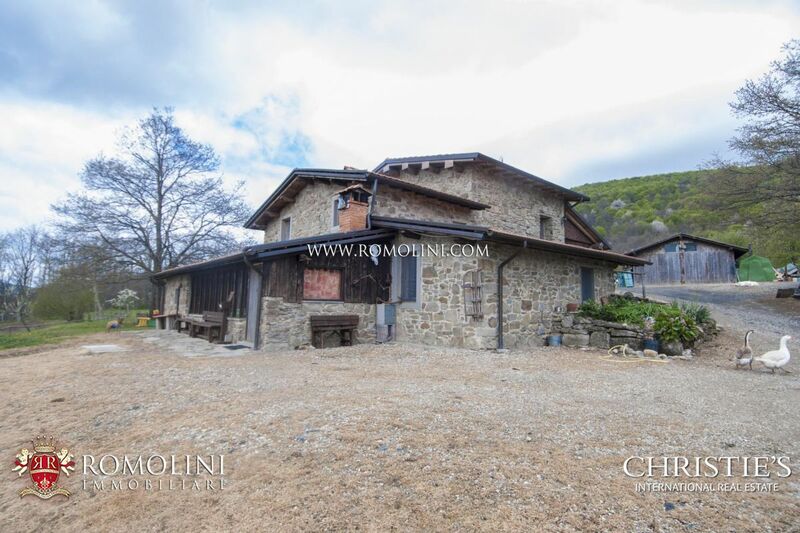 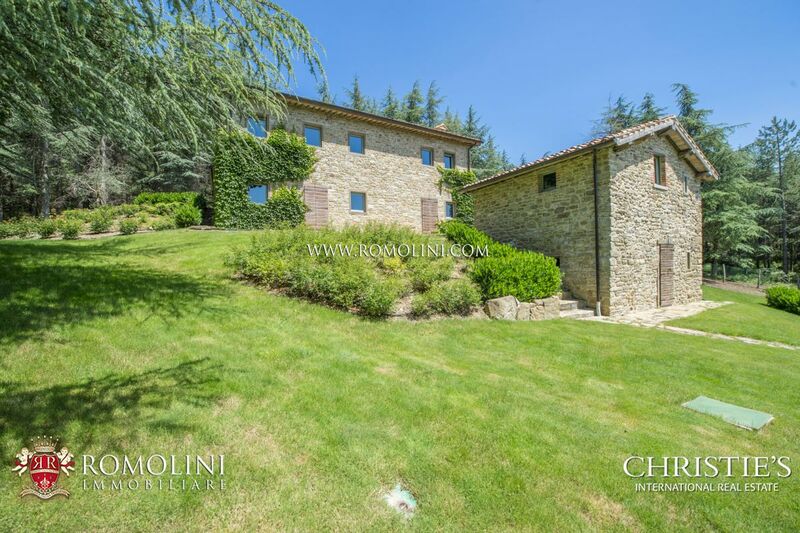 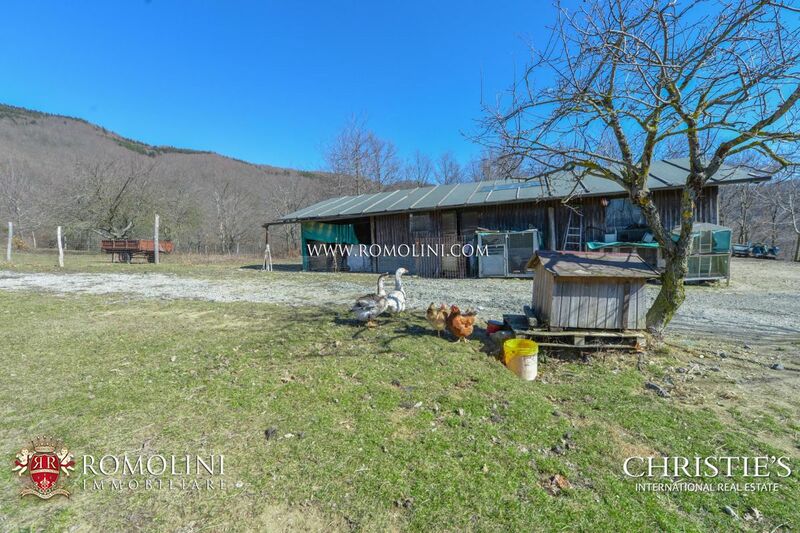 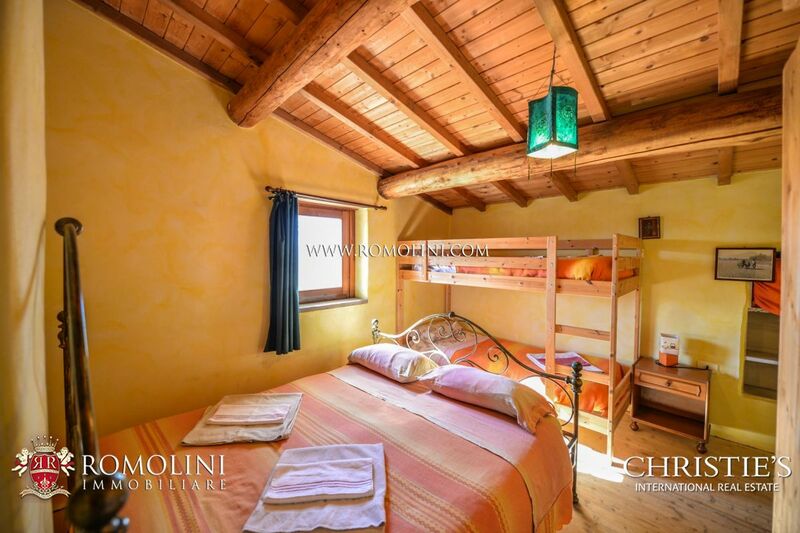 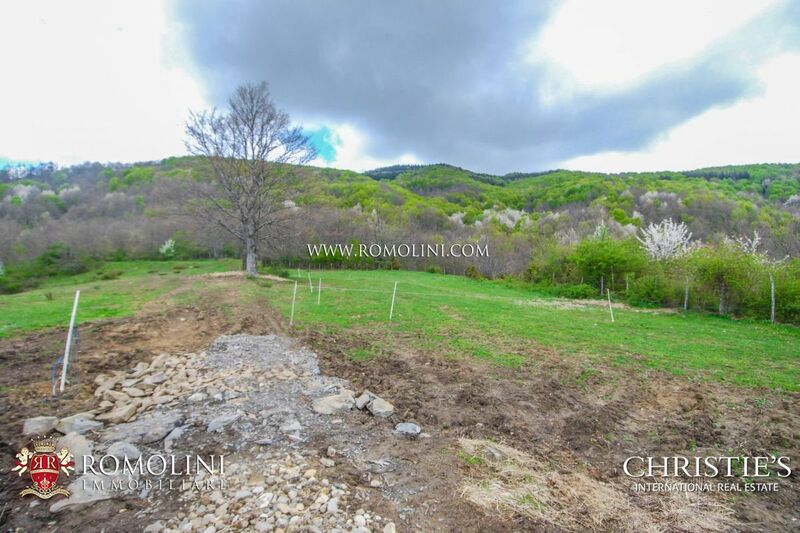 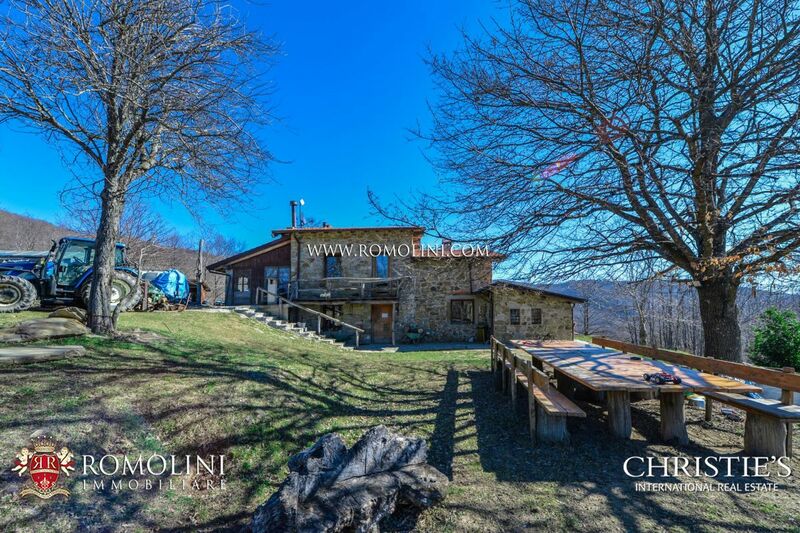 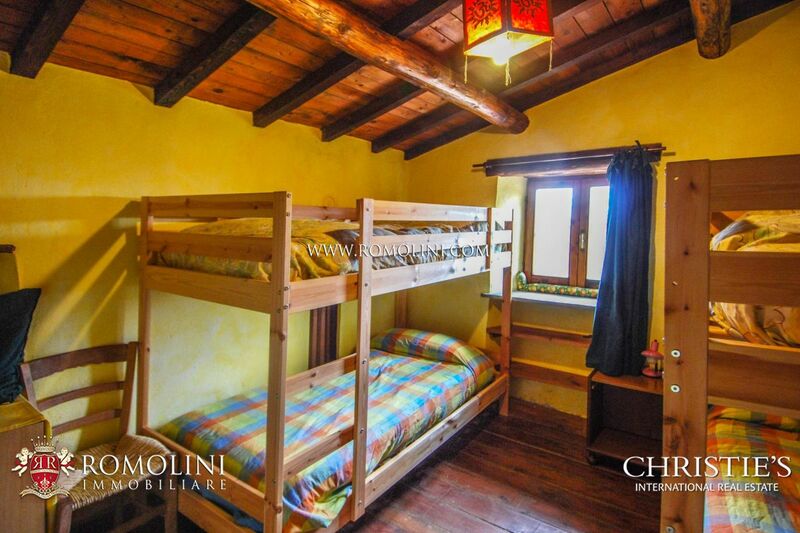 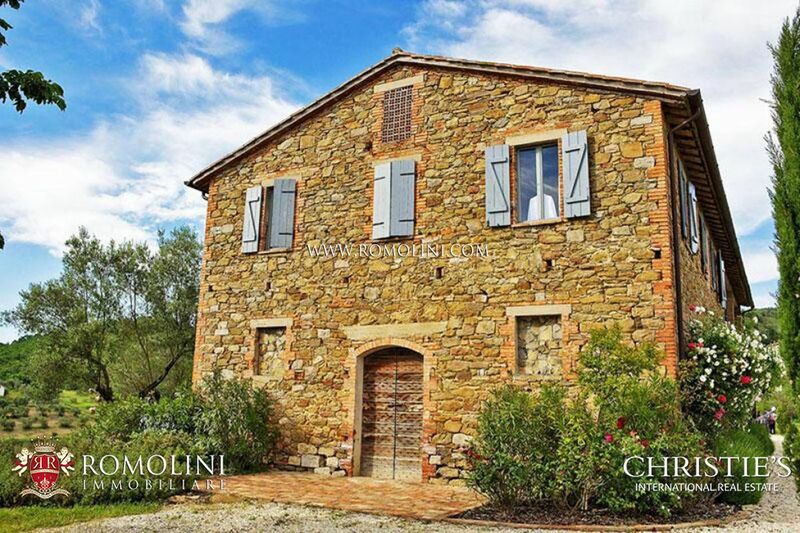 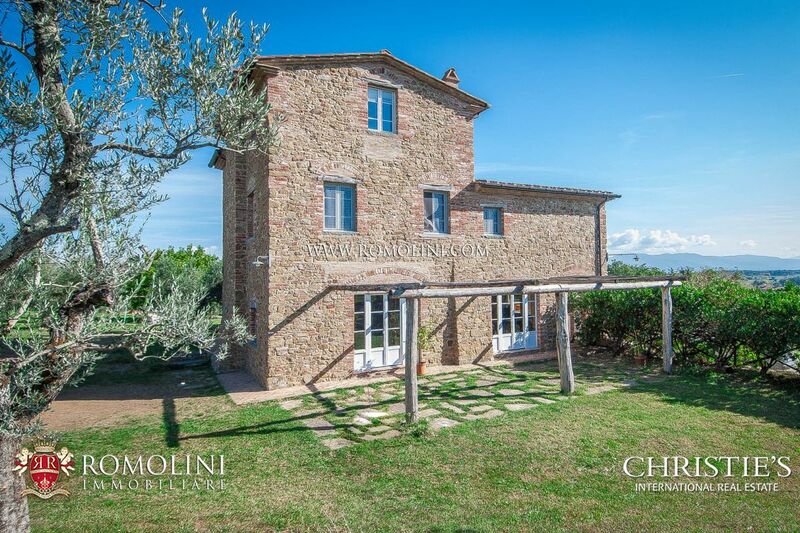 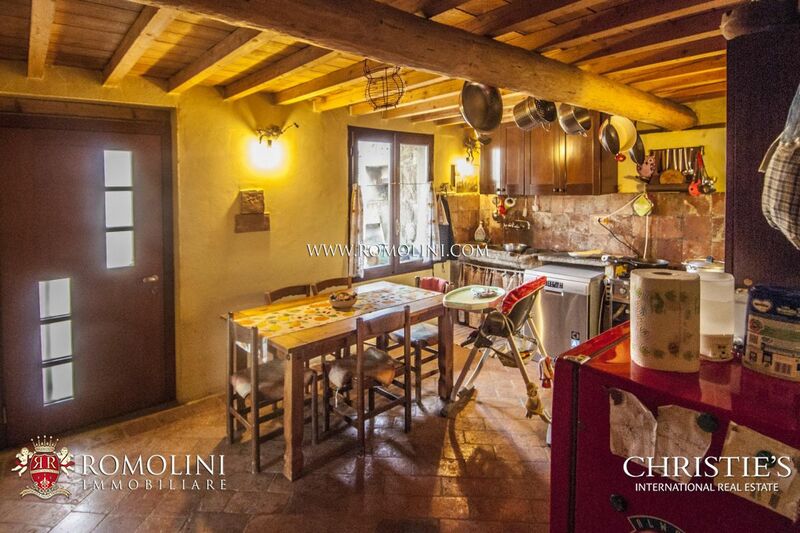 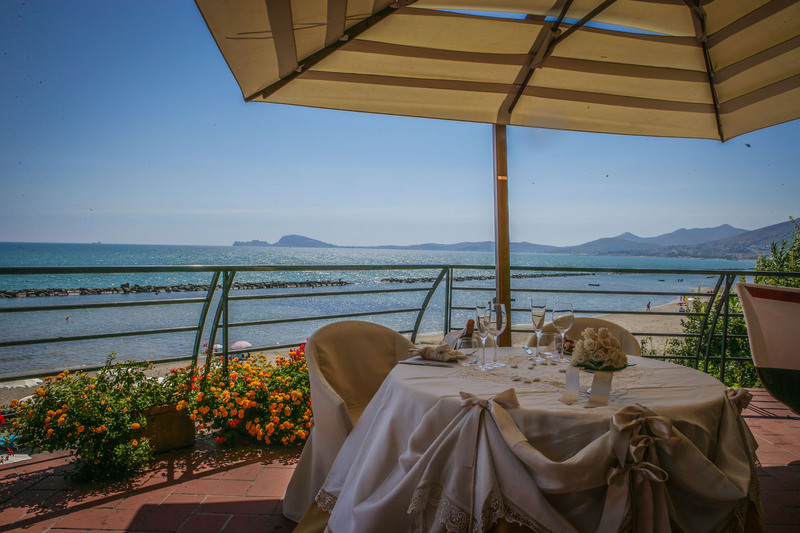 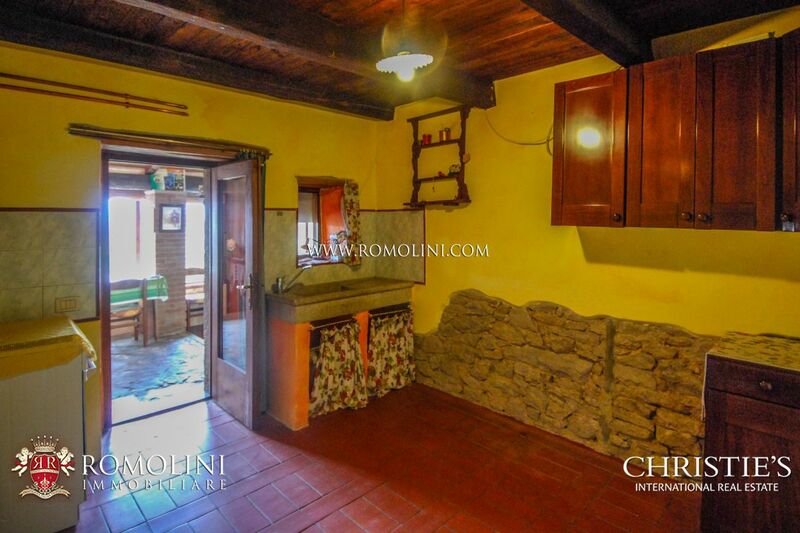 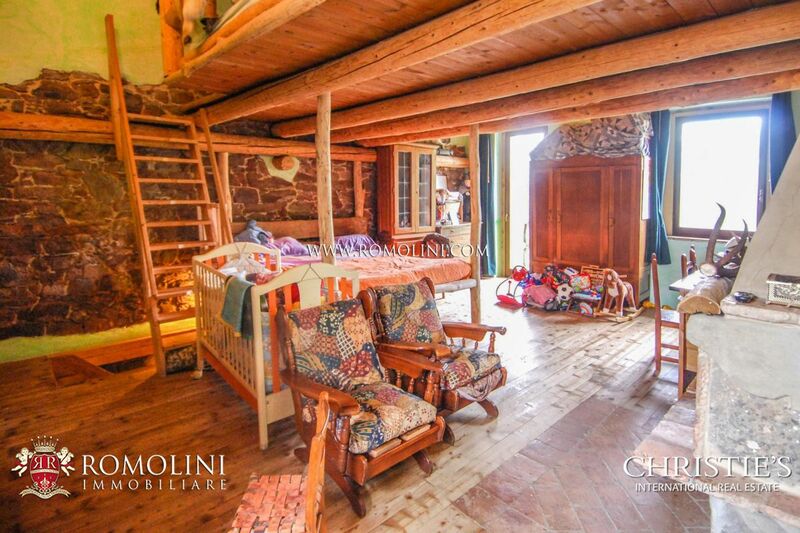 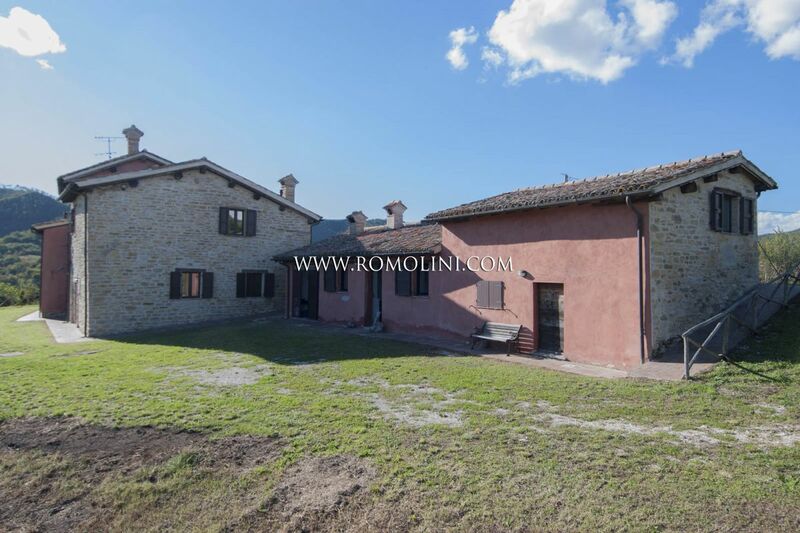 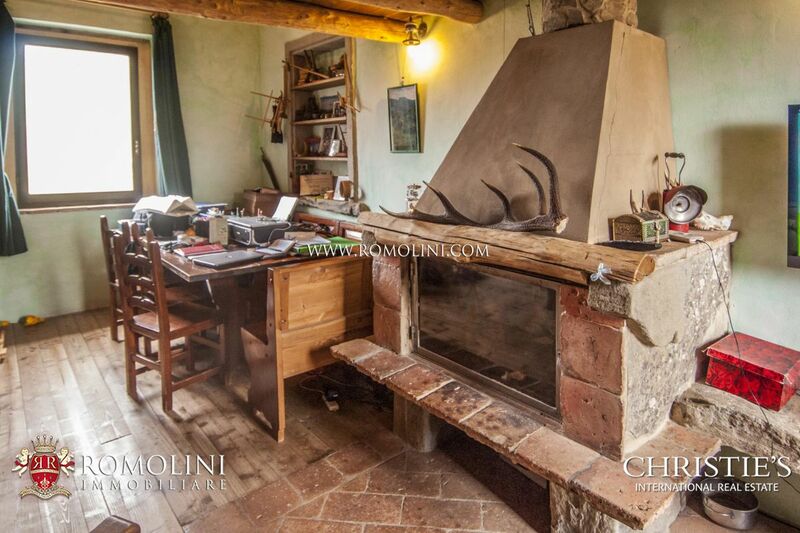 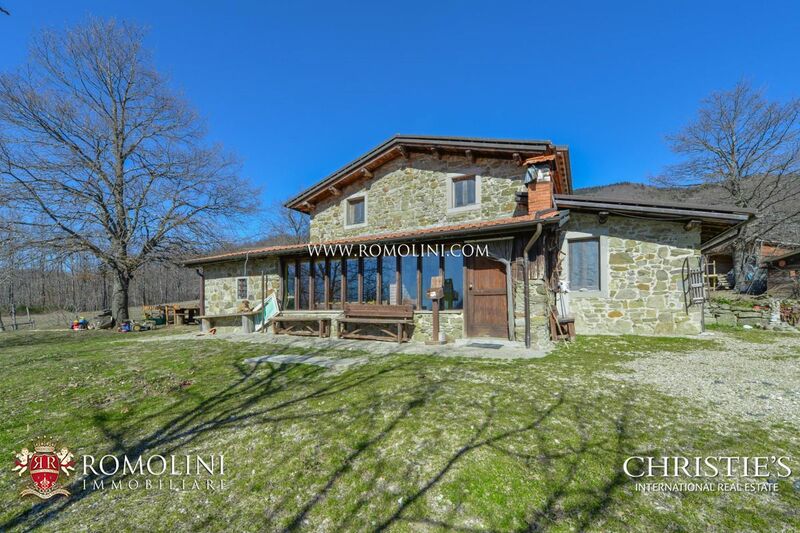 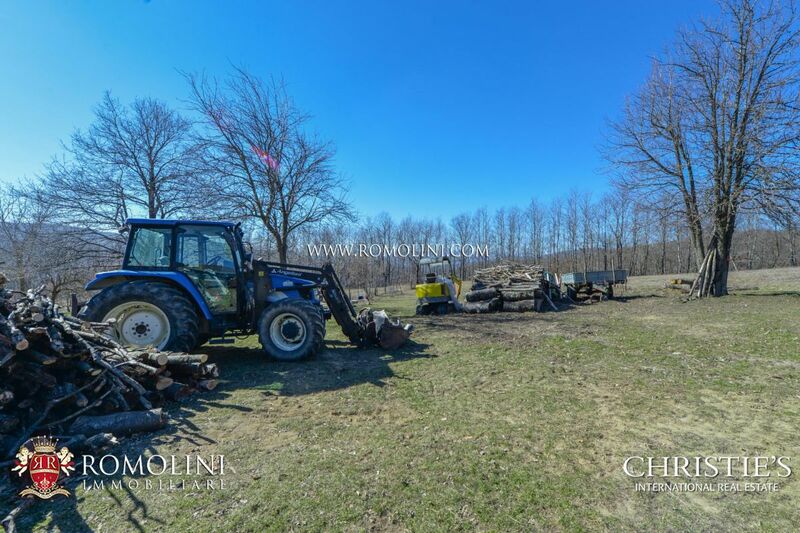 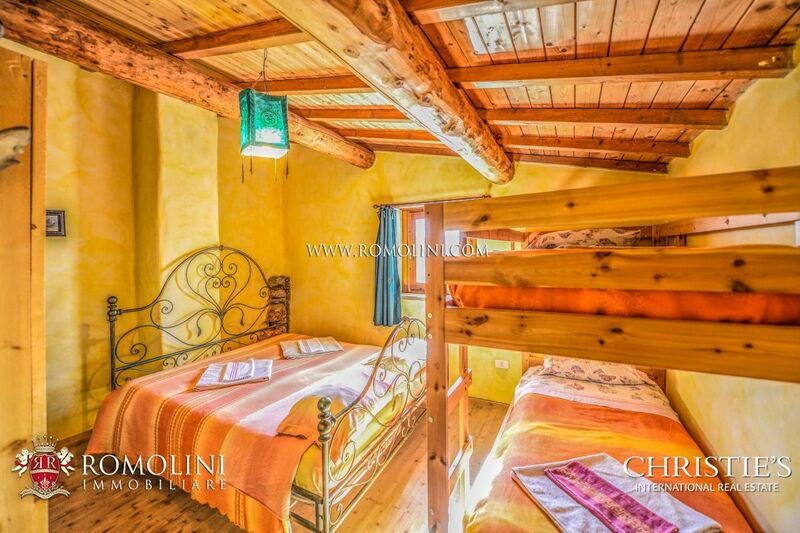 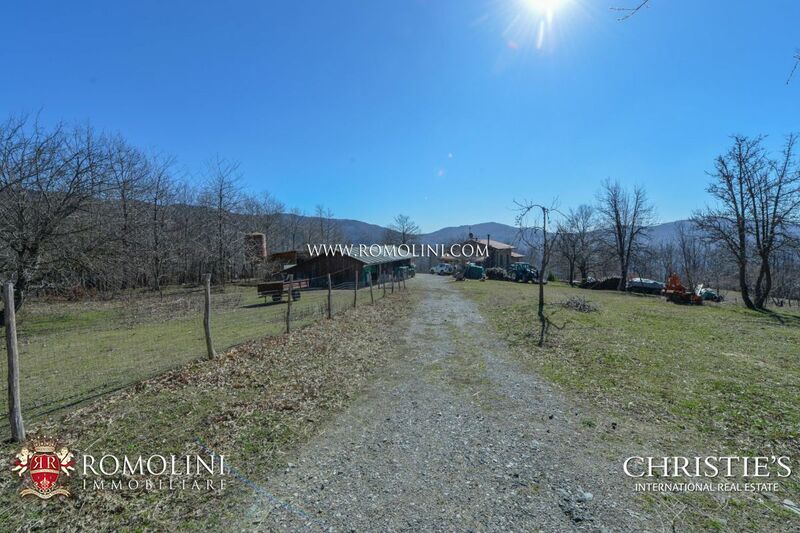 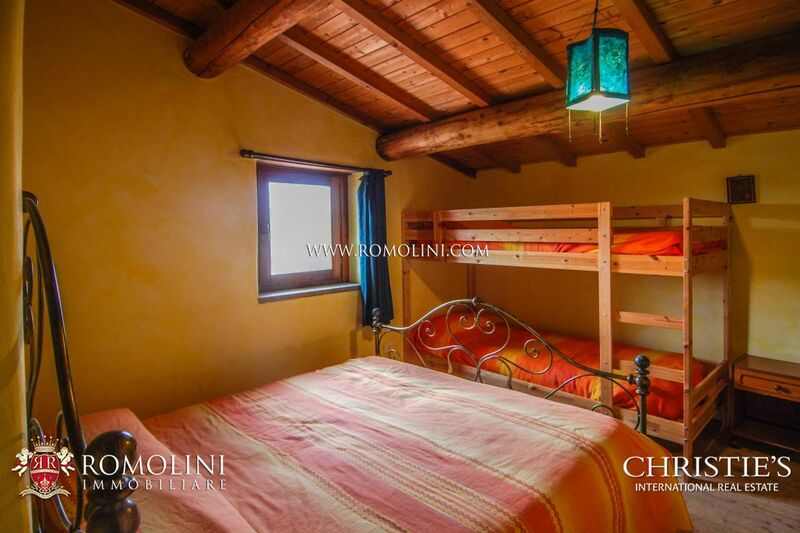 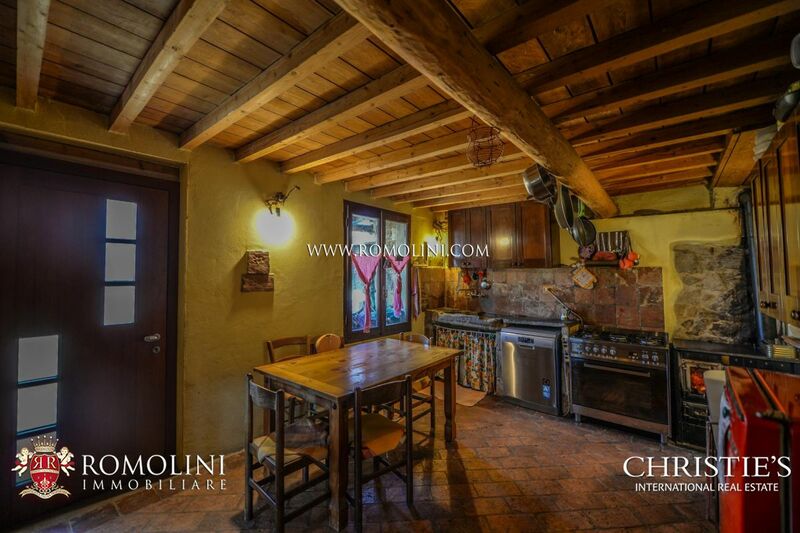 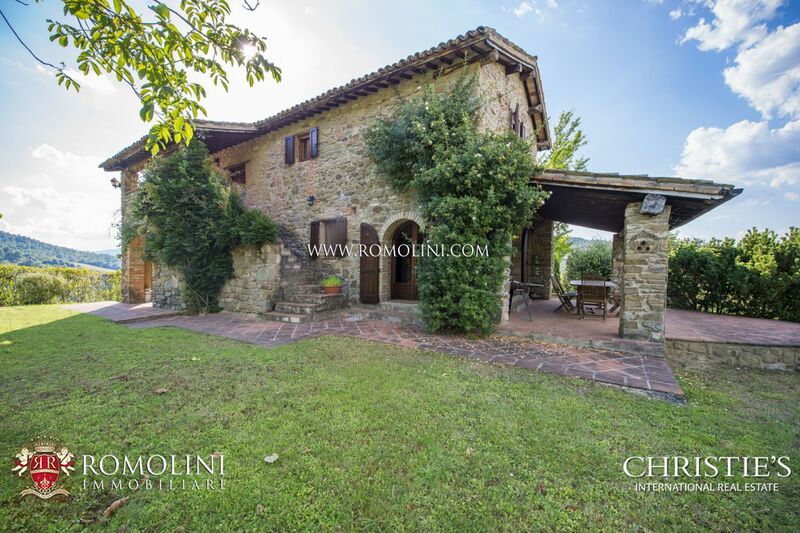 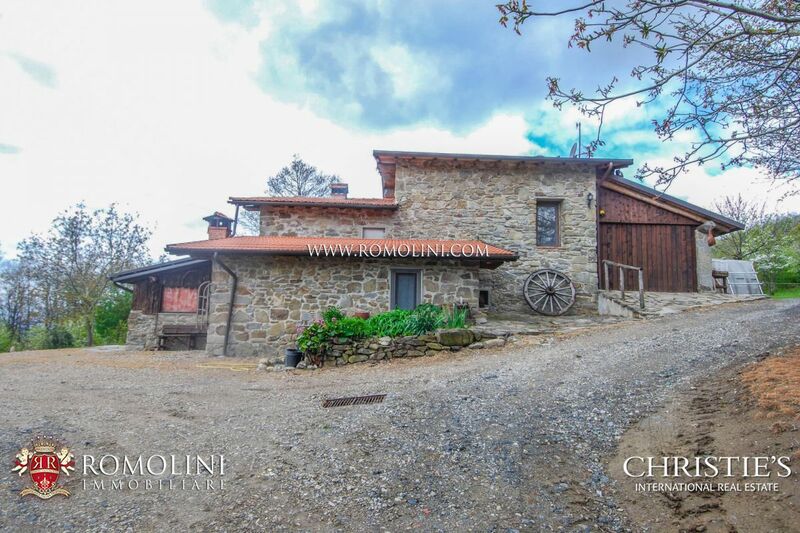 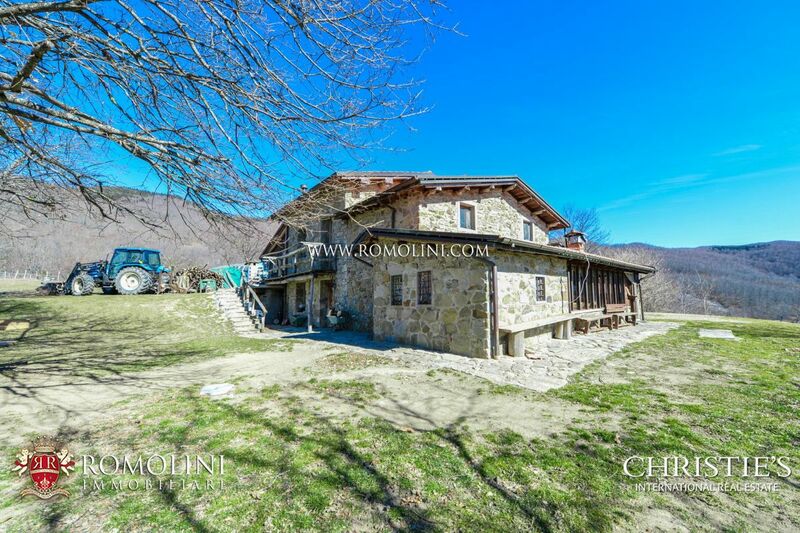 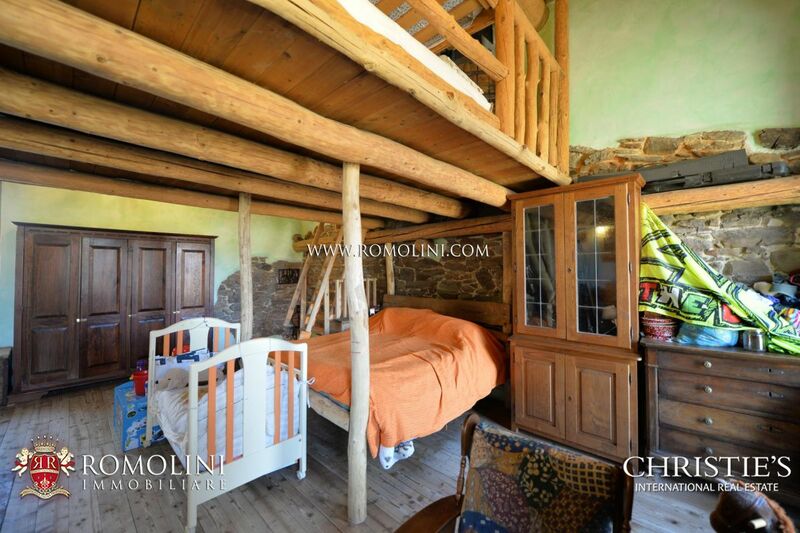 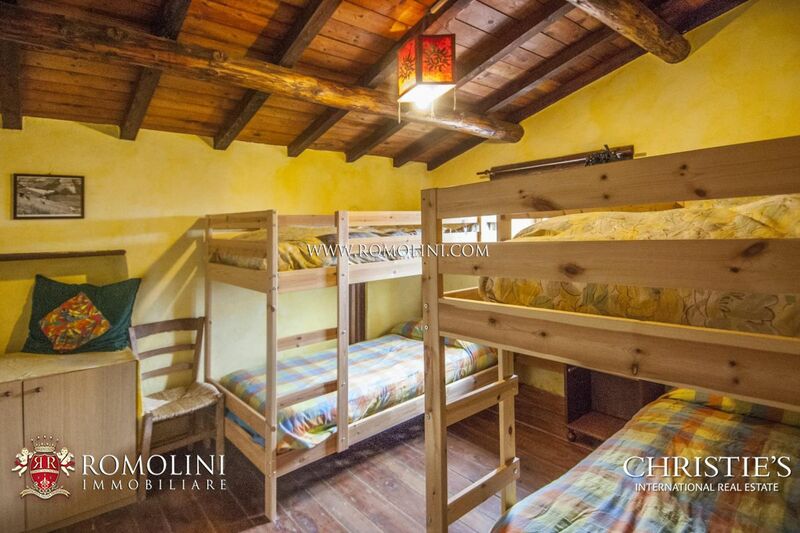 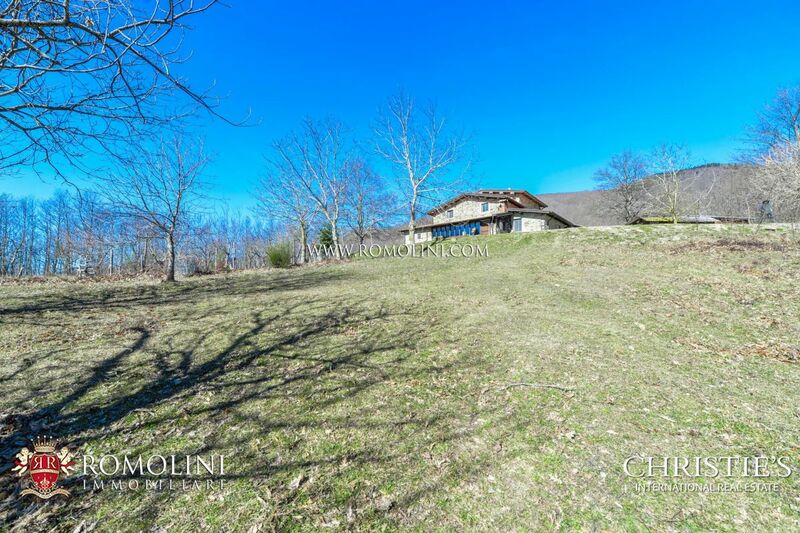 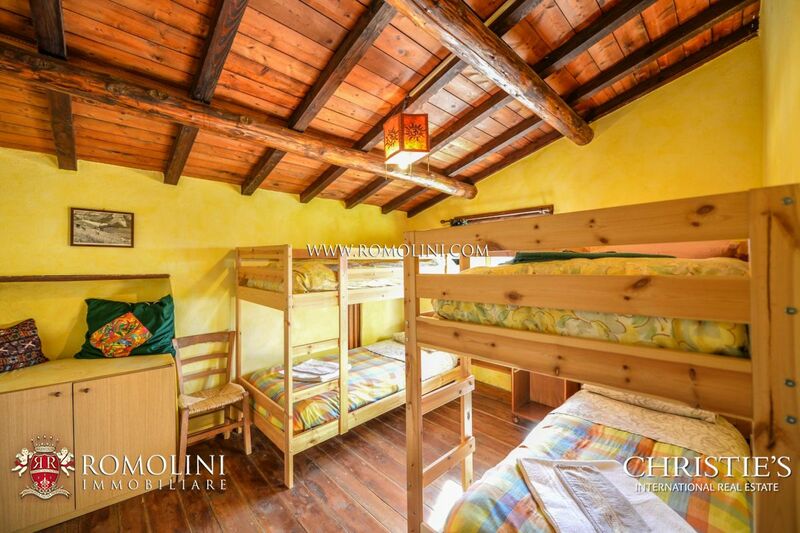 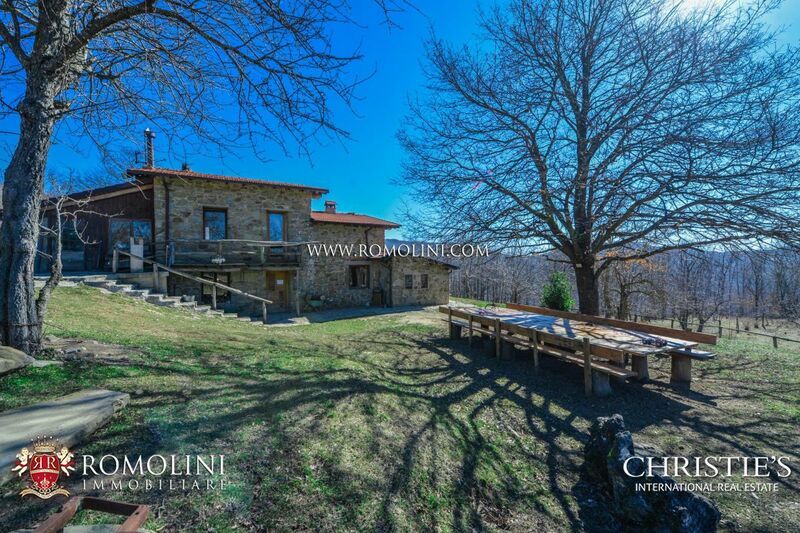 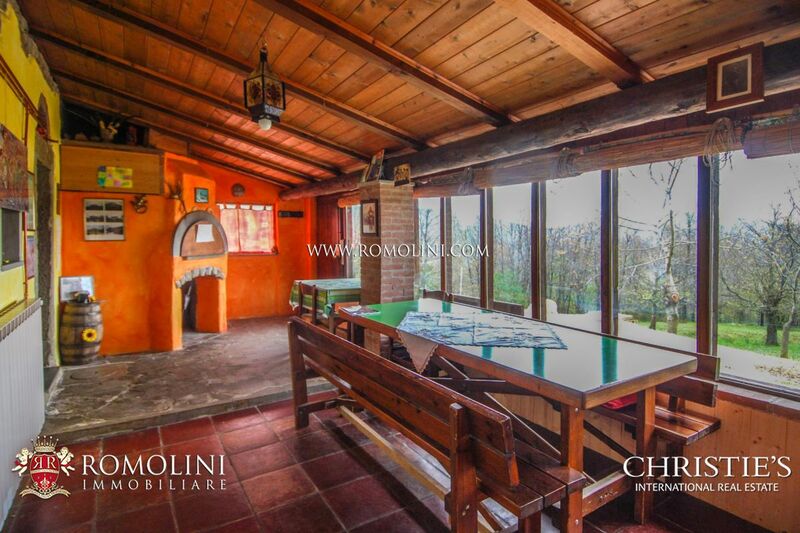 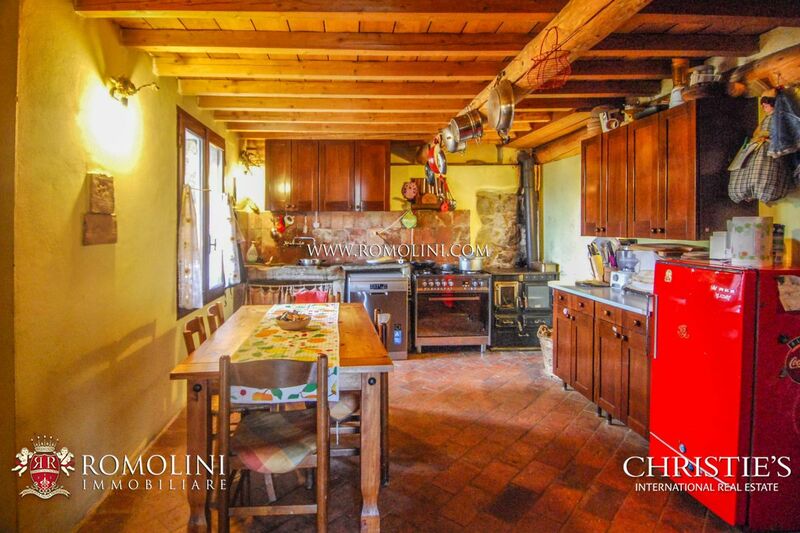 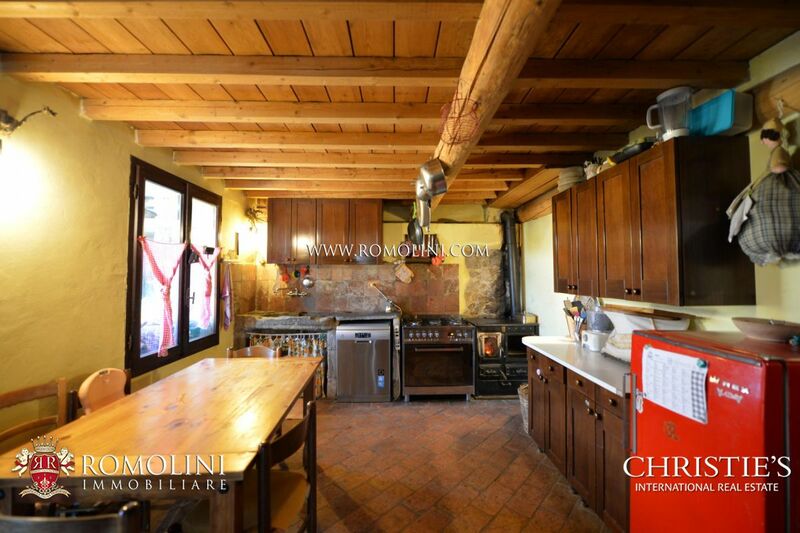 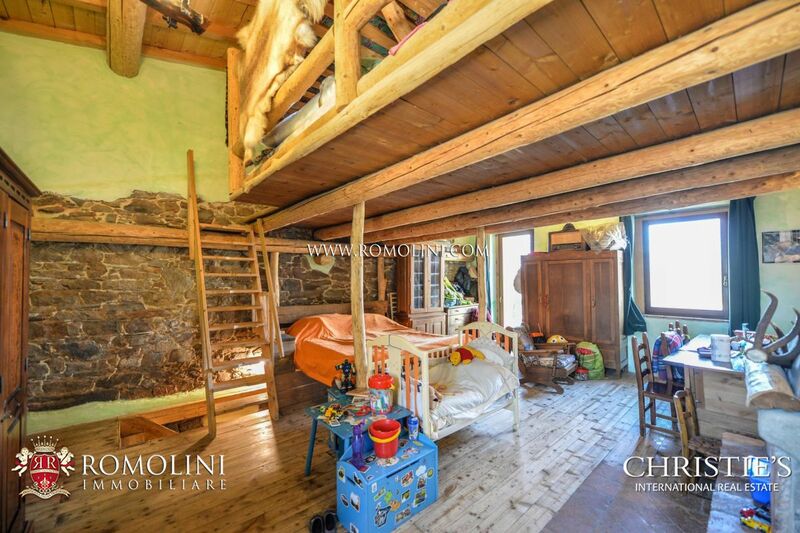 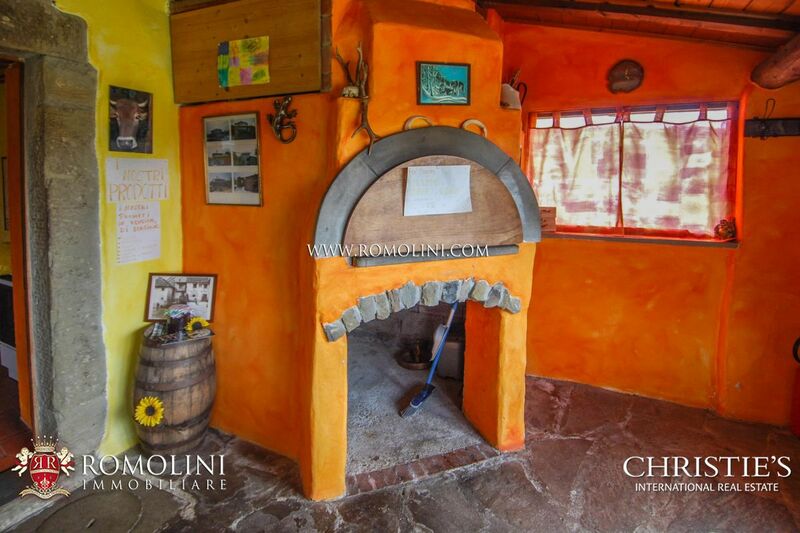 The property is located not far from the town of Chiusi della Verna (17km; 30’) and is provided with all the services by the nearby village (4km; 10’). 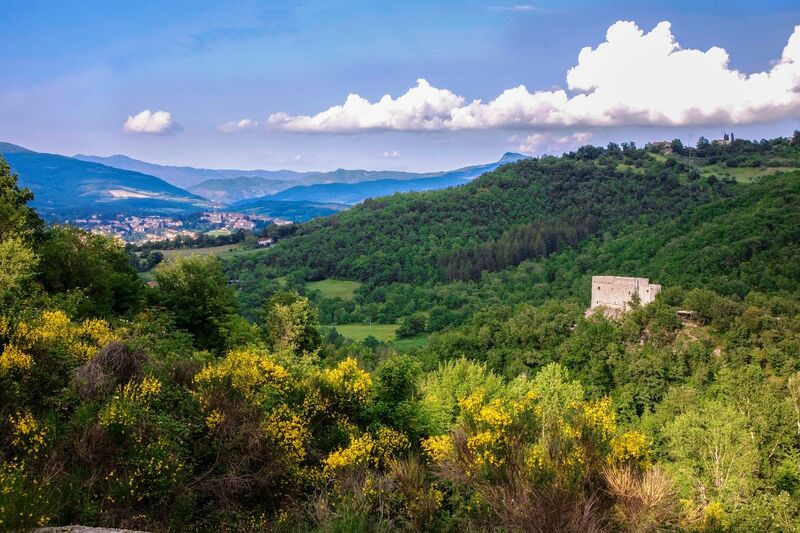 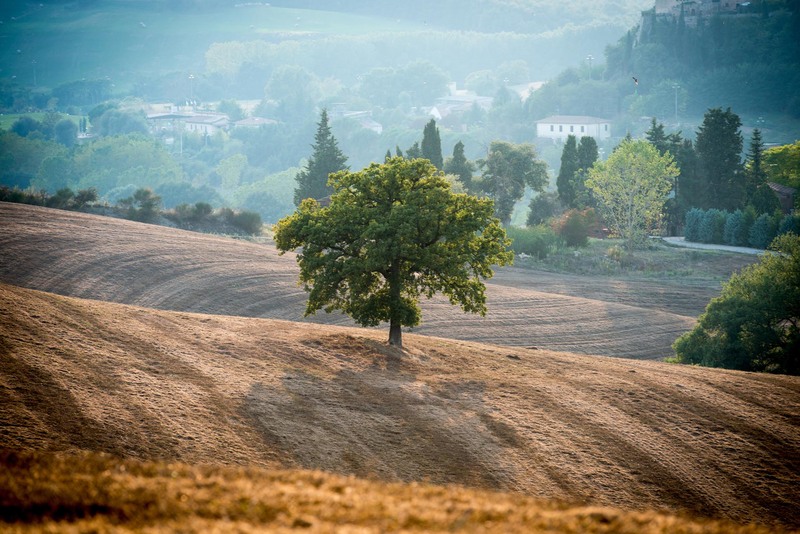 The shelter allows easily reaching the Franciscan shrine of La Verna (21km; 40’), the Benedictine hermitage of Camaldoli (26km; 45’) and the most notable towns of the Tuscan Tiber Valley: Bibbiena (19km; 35’), Pieve Santo Stefano (20km; 35’), Camaldoli (26km; 45’), Poppi (28km; 45’), Caprese Michelangelo (29km; 45’), Sansepolcro (35km; 45’), Anghiari (41km; 50’) and Arezzo (49km; 1h 15’). 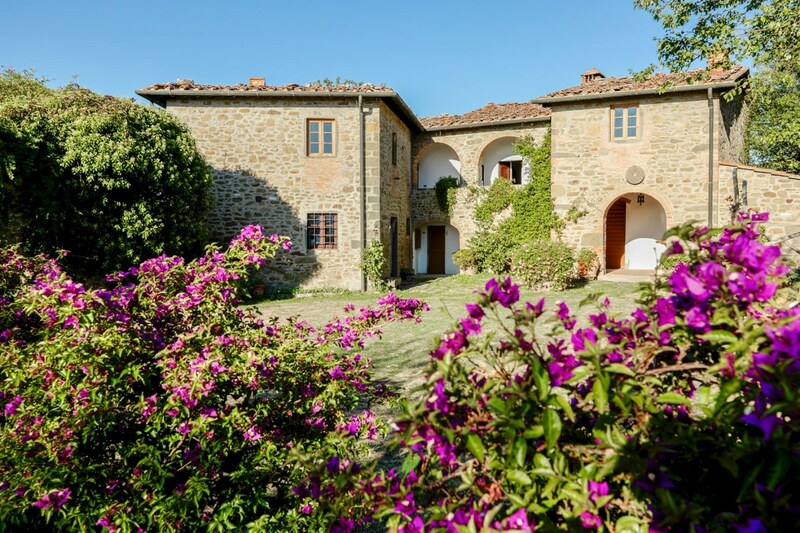 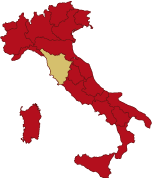 The most convenient airports to reach the property are Perugia Sant’Egidio (100km; 1h 20’), Firenze Peretola (141km; 2h 10’), Bologna Marconi (170km; 2h 10’), Pisa Galilei (202km; 2h 50’), Roma Ciampino (278km; 3h 25’) and Roma Fiumicino (296km; 3h 25’). 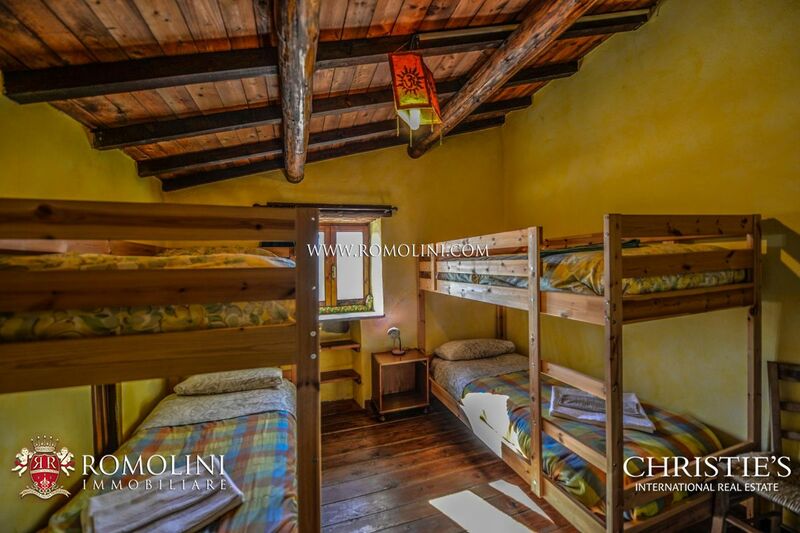 - Ground floor: entrance room, living room with fireplace for dinners and breakfast, apartment with kitchen, 4-beds bedroom and bathroom, sitting room with Finnish fireplace and bathroom for the bedrooms on the first floor. 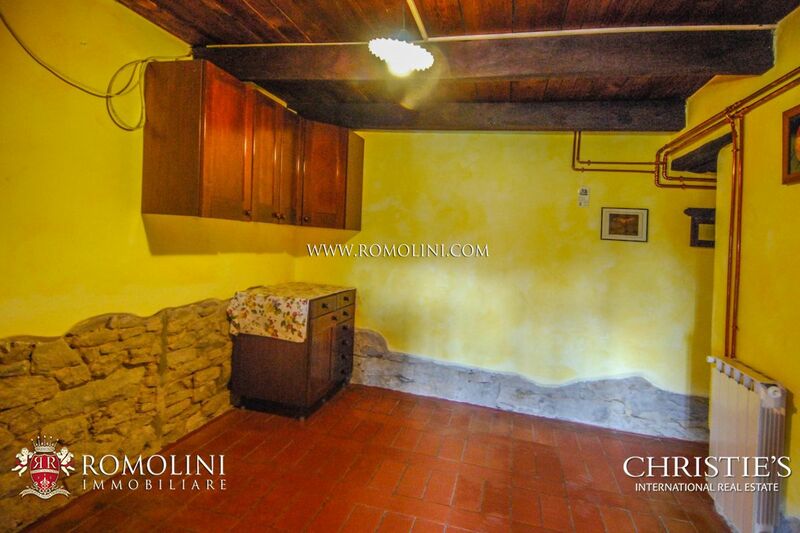 Private quarter with kitchen, bedroom (50 sqm) with gallery and bathroom for a total of 10 beds. 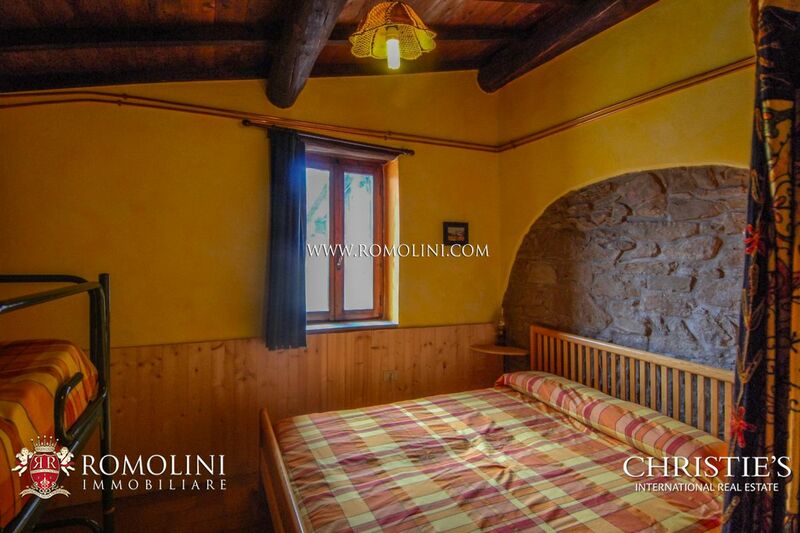 - First floor: two guest bedrooms for a total of 8 beds, sharing the bathroom on the ground floor. 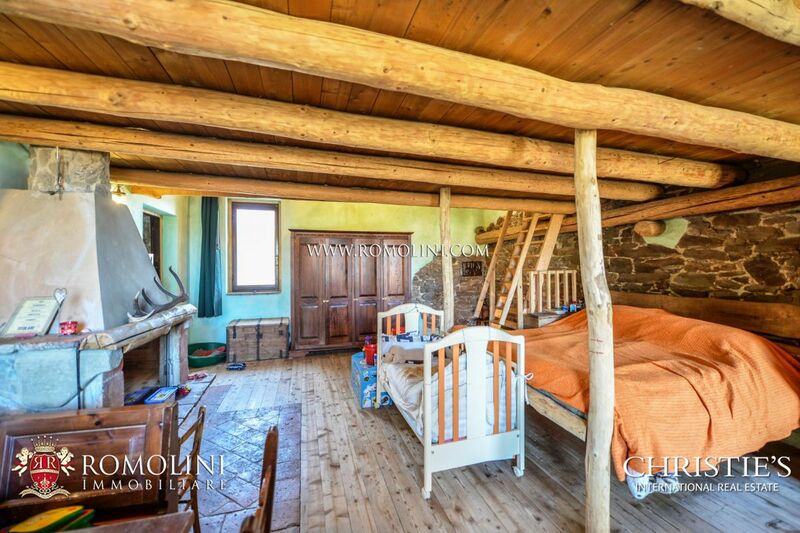 An agricultural annex (70 mq) is currently used as a storage room and/or shelter for travelers. 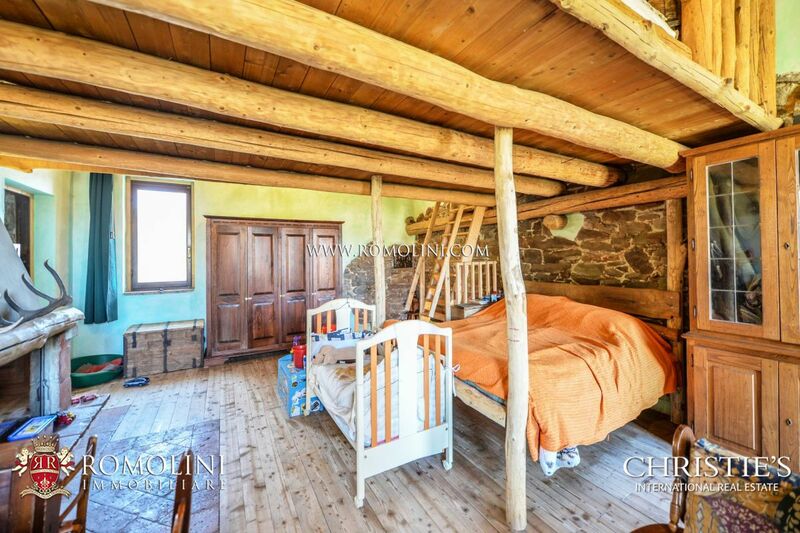 The building dates back to before the 19th century. 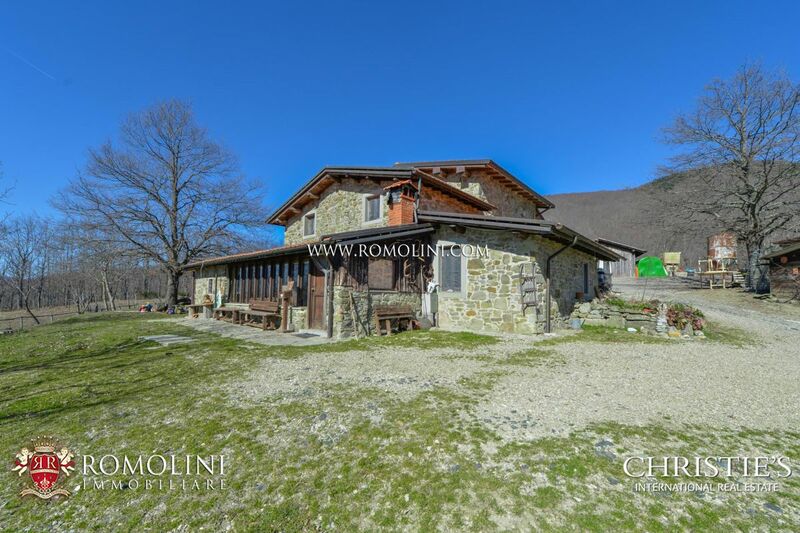 After a period of dereliction between the 1940s and 1950s, the mountain shelter faced ruin and was only renovated in 2000 by using eco-friendly materials. 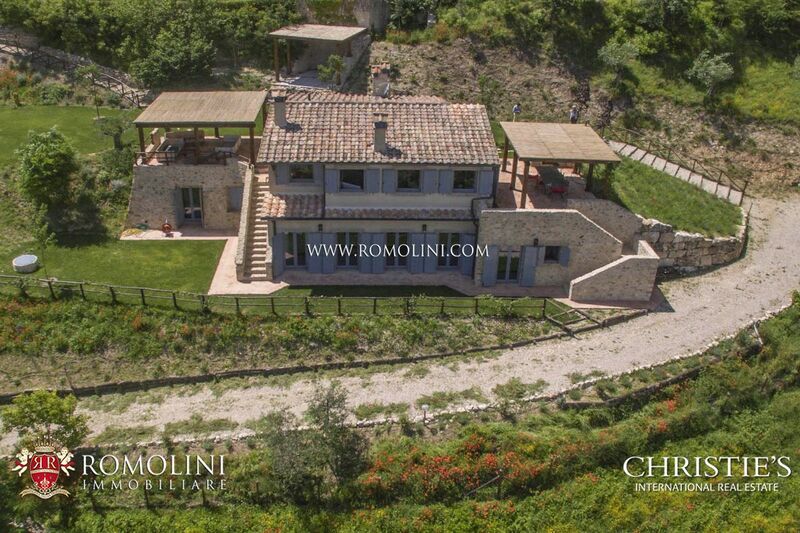 A second intervention in 2010, carried out by following the anti-seismic and hydrological criteria, completed the renovation and the property is currently working. 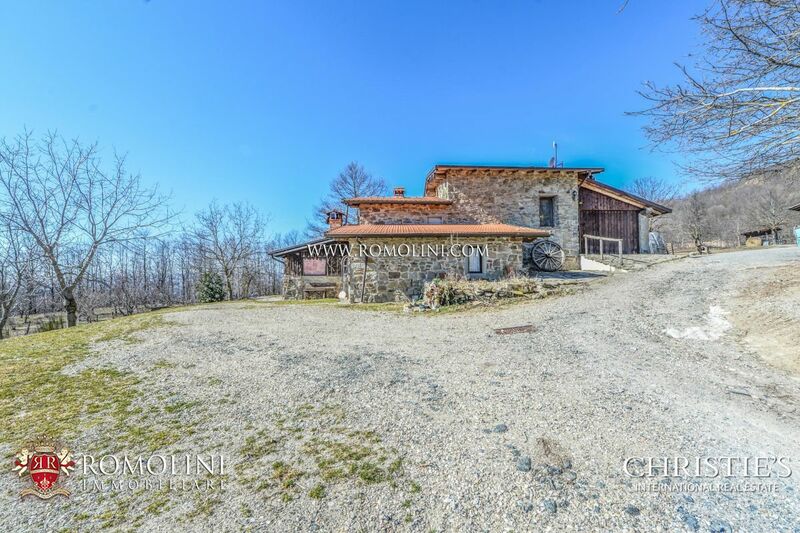 The shelter is located at 1.000 m of altitude, at the border with the Foreste Casentinesi, Monte Falterona and Campigna national park along one of the Roman Roads (in this case the Via Romea Germanica, better known with the names E1 Path and Great Apennines Excursion GEA 00), walked by pilgrims in the Middle Ages while traveling towards Rome. 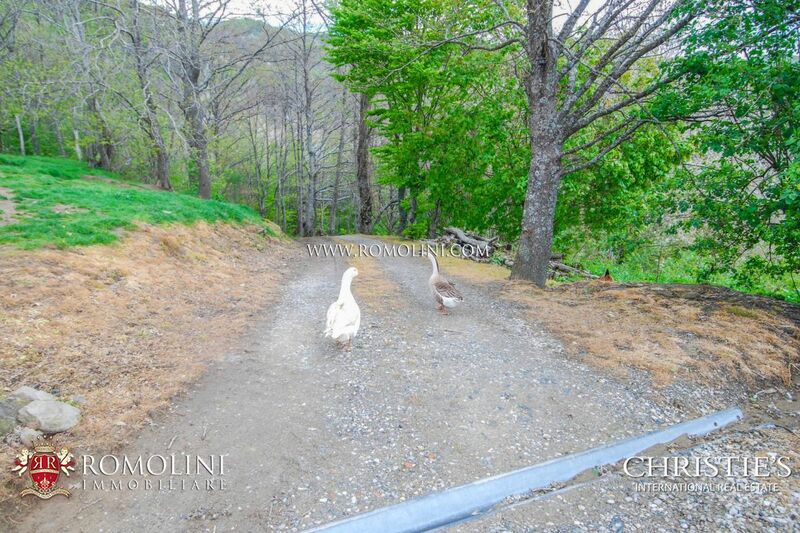 Nowadays, these paths are very much appreciated by nature lovers, as they offer easy roads for hikes and walks. 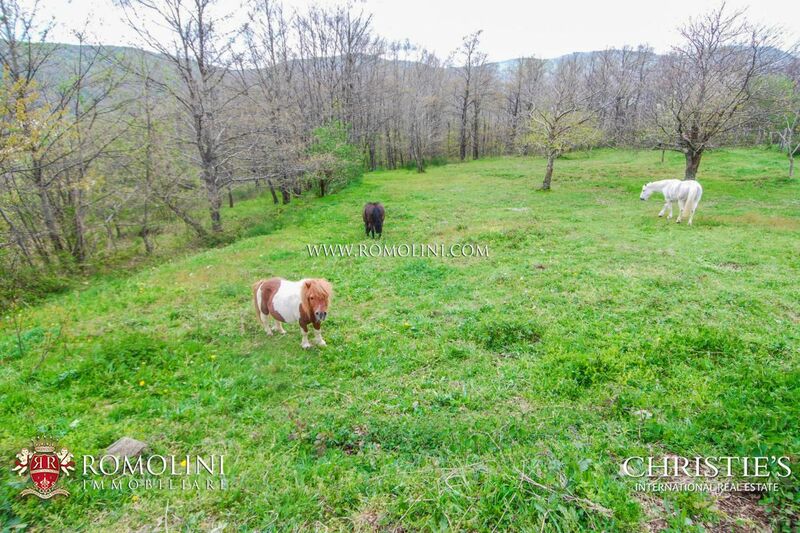 The property also breeds horses which can then be used together with the accommodation business for hikes and walks in the surrounding woods. 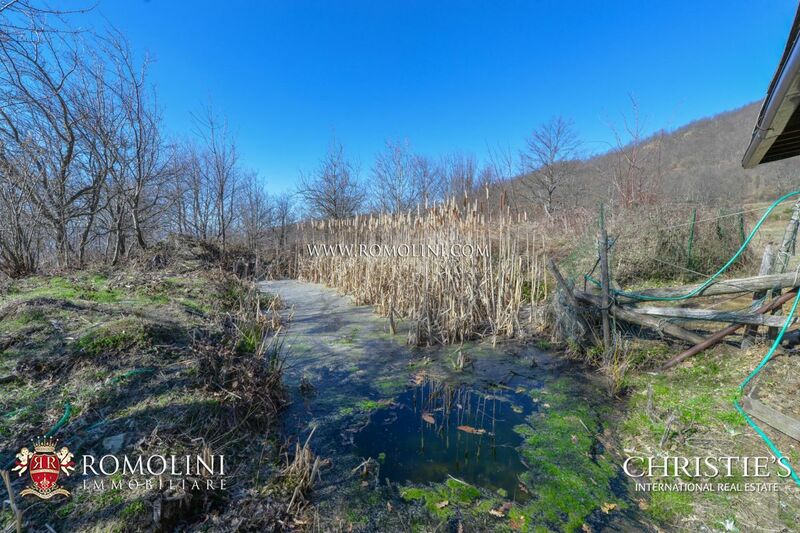 A peculiar bonus of the property is the possibility at night of seeing a beautiful starry sky, thanks to a reduced light pollution granted by the remote location of the property. 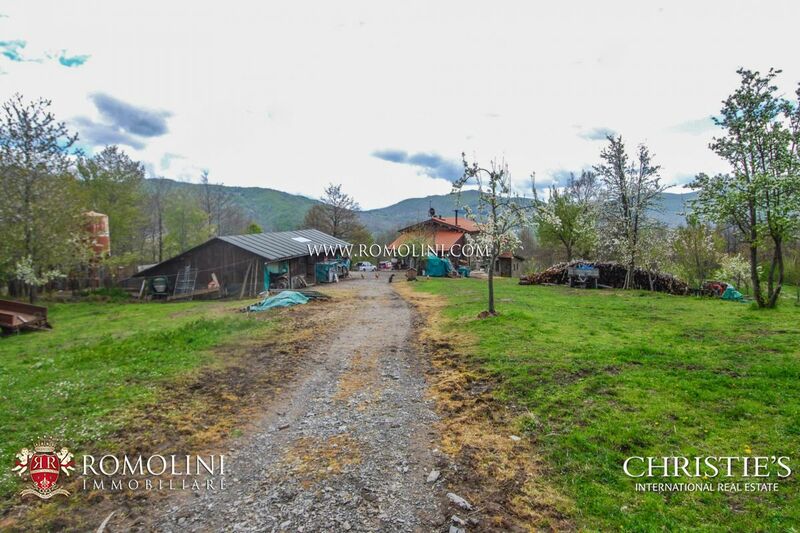 The shelter is currently growing and the farmstead includes a small breeding business of farmyard animals, pigs and horses, which means the property is completely self-sufficient, for both food and energy. 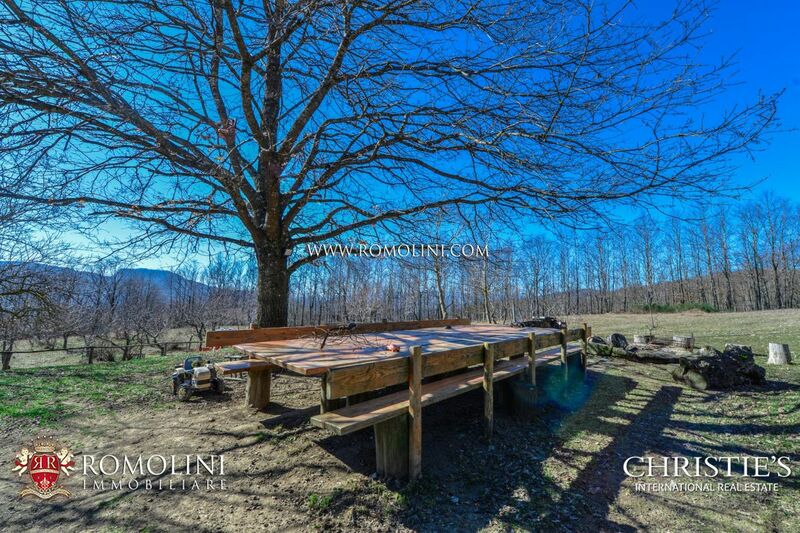 The property is sold completed with furniture and equipment necessary to attend to all the productive processes currently carried out. 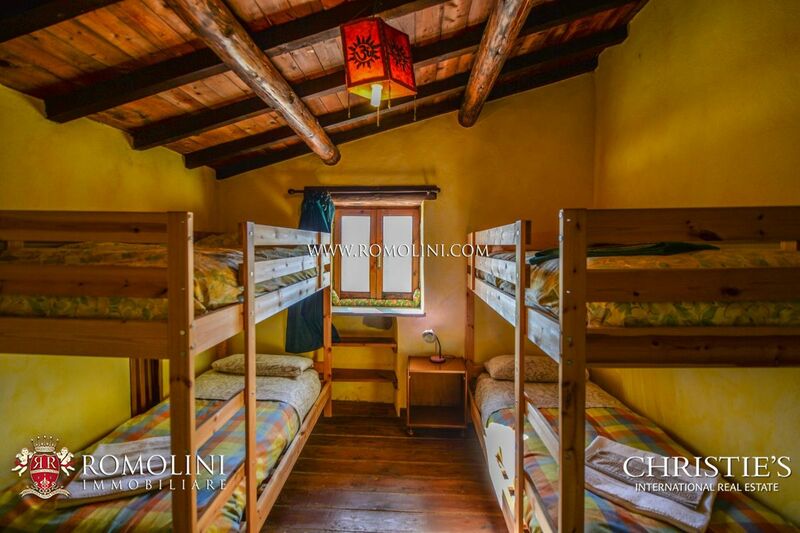 This shelter is suitable for families looking for a change in their life starting with a good economic base.